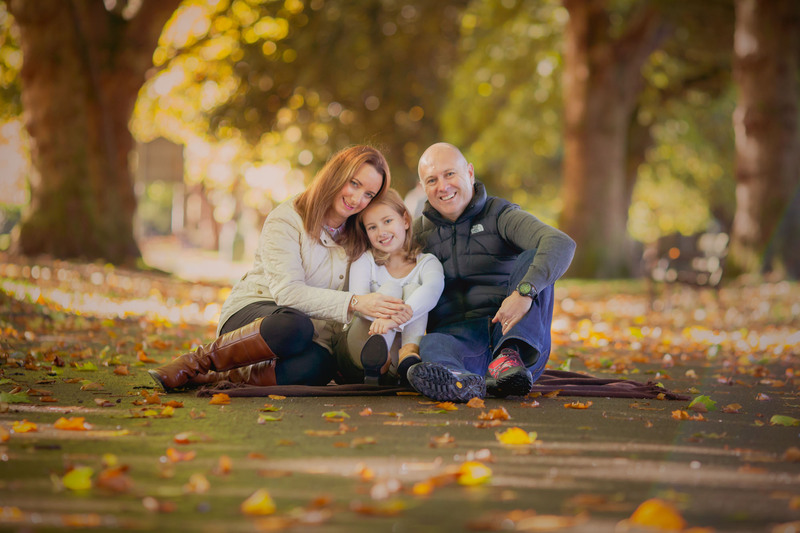 Winter is a great time to arrange a family photoshoot in Cardiff. It’s a great excuse to get out in the fresh air at a time where everyone is sick of being cooped up indoors. 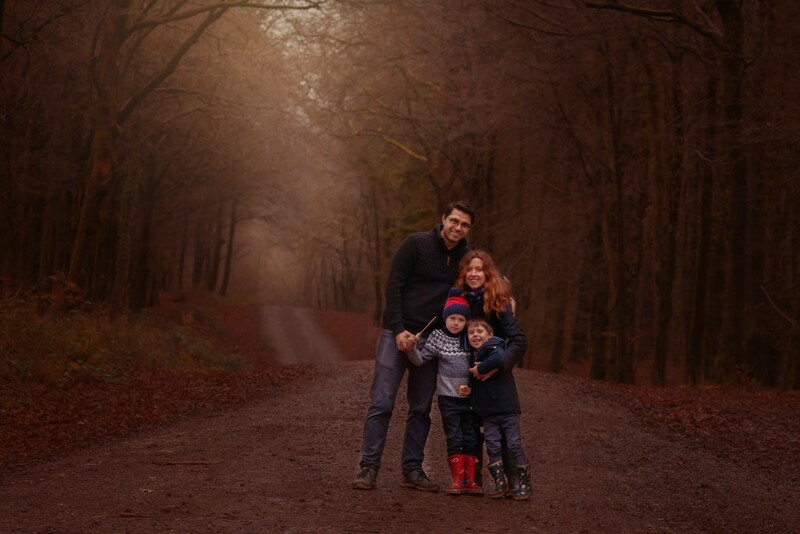 Plus, if you missed getting you family photoshoot in Cardiff done during the busy Autumn season, you still have a chance in winter. 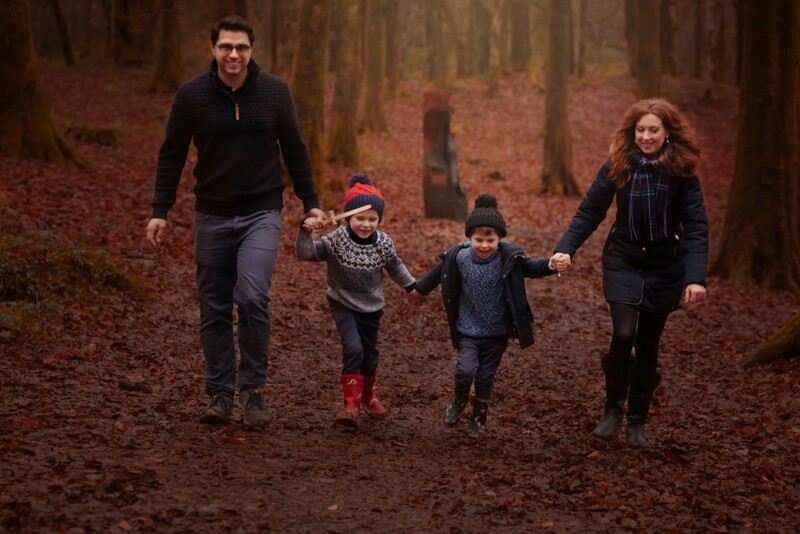 We headed to the Forest Fawr Sculpture trail just a few miles away from Castle Coch. 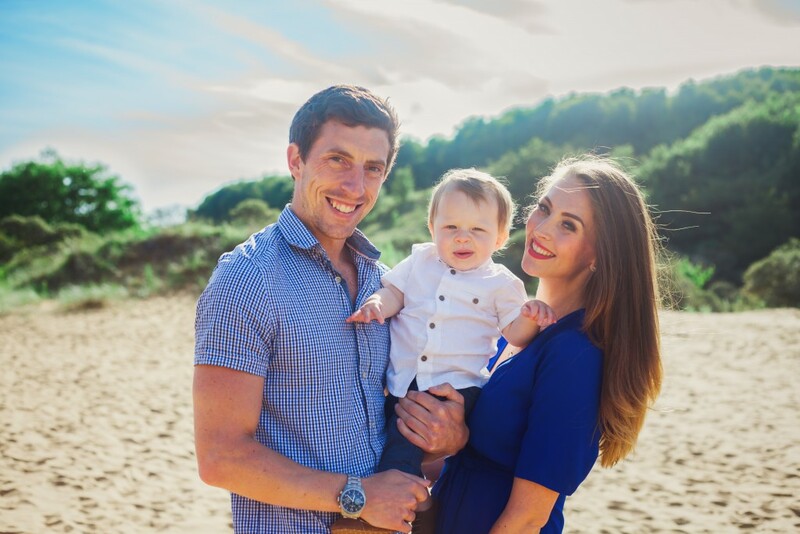 It’s a great spot for a family photoshoot in Cardiff. It’s really close to the city and the sculptures keep little children during the session. My style during family photoshoots is not to direct everyone and make them post and smile for the camera. Instead, I like to stay in the background, letting families play and be themselves, whilst I capture these unscripted moments. Occasionally I’ll ask a question to get them to look at me, this way I’m much more likely to get natural smiles. If I asked them to look and smile at me, I’ll probably get the camera smile. You know the one, the fake, cheesy grin they do for the school photographer. That’s not what my sessions are about. 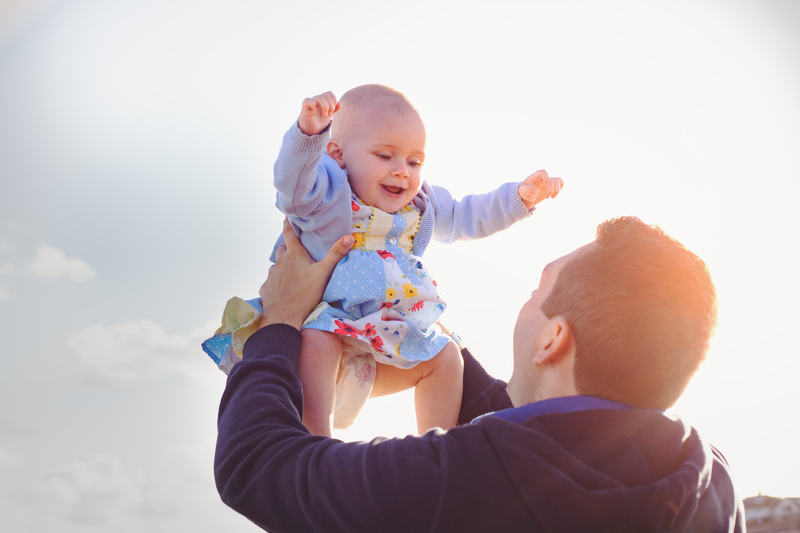 We’re all about the real here, the true moments you want to capture. Snuggly pictures are the best! 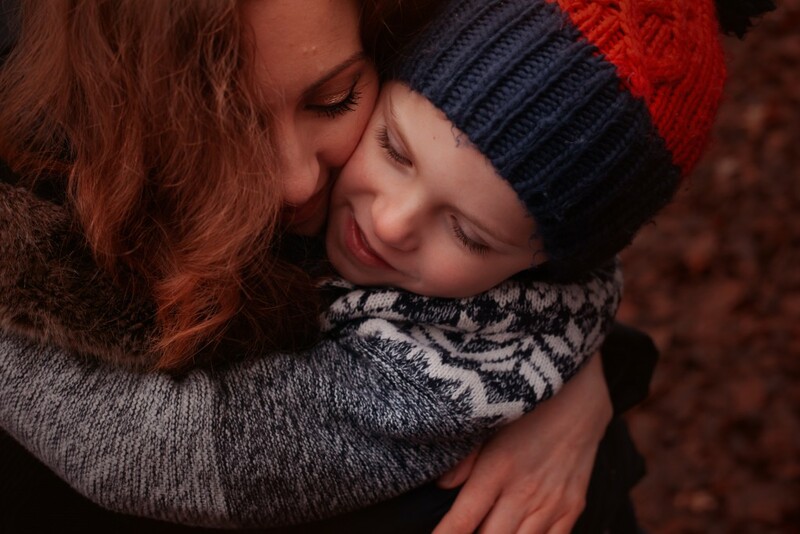 How many times a day do you cuddle your children? Loads I bet! It’s worth taking photos of then, right? 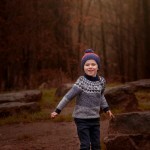 Once the kids have had a good run around and burnt off some energy, I can get a few posed images. I don’t spend too long on the posted images as kids tend to get bored quite quickly. I get families to cuddle together for a few quick photos, then it’s back ti playing. We play games too to get everyone smiling at the camera. 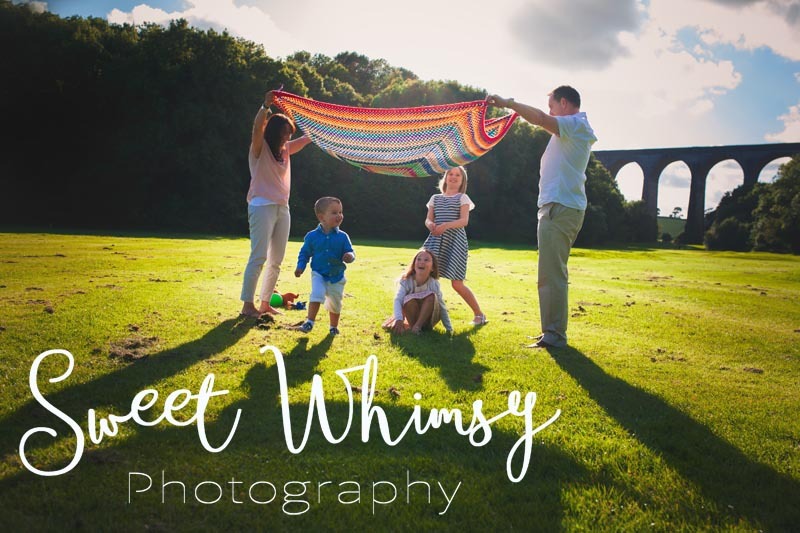 If you love the idea of a family photoshoot in Cardiff, find out more about my approach to family photography here. 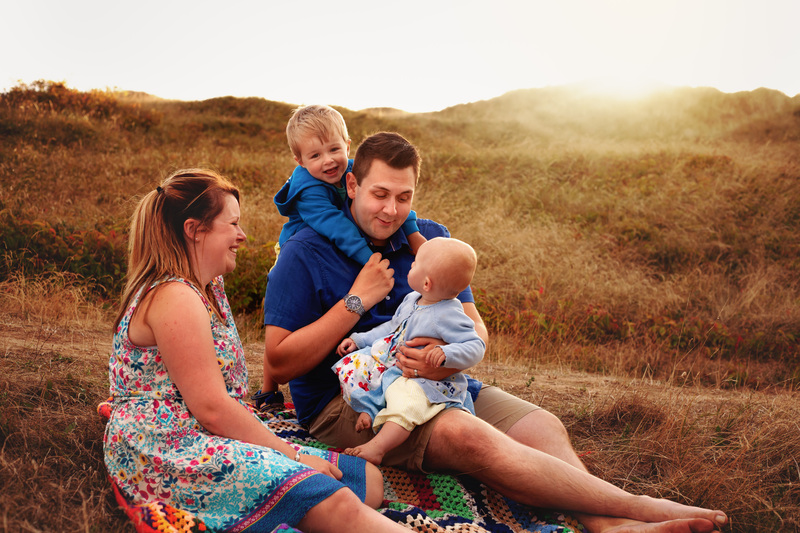 I also have plenty of information to help you plan your family photoshoot, check it out here! 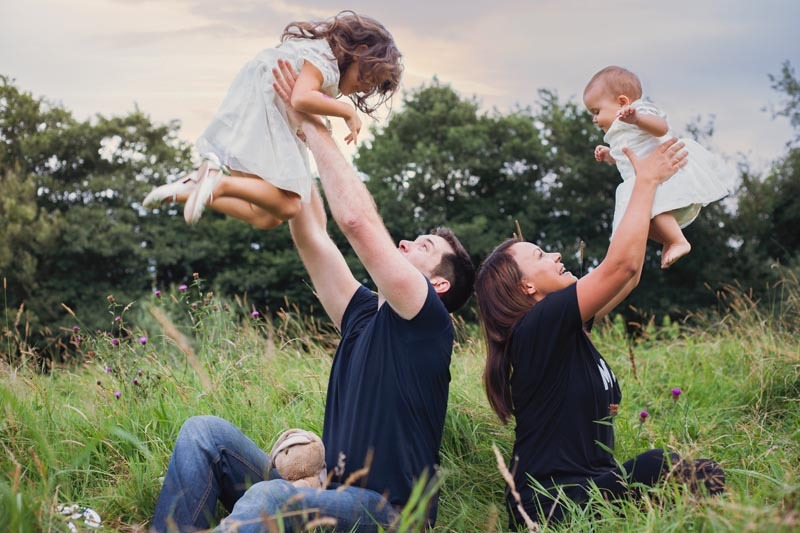 Is a Family Photoshoot worth the money? Tell me if any of these sound like you. 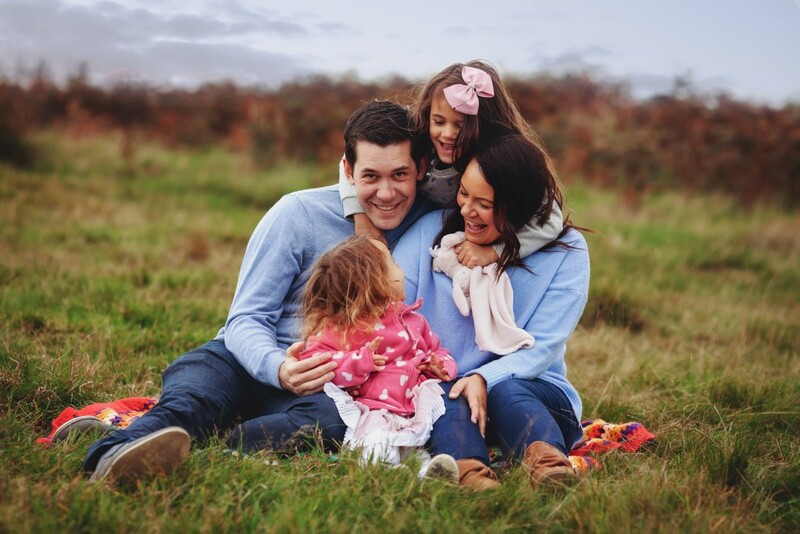 You wanted to book a family photoshoot, but you felt like you had to spend the money on something more important, like painting the living room or putting it aside for Christmas presents. You looked at a really cheap photographer but you didn’t like their photos as much as the more established photographers. You or a friend had a free voucher for a well known photography company, but it ended up costing over £1000 to buy the photos. You know exactly where you would hang family photos and what products you would go for. I get it. 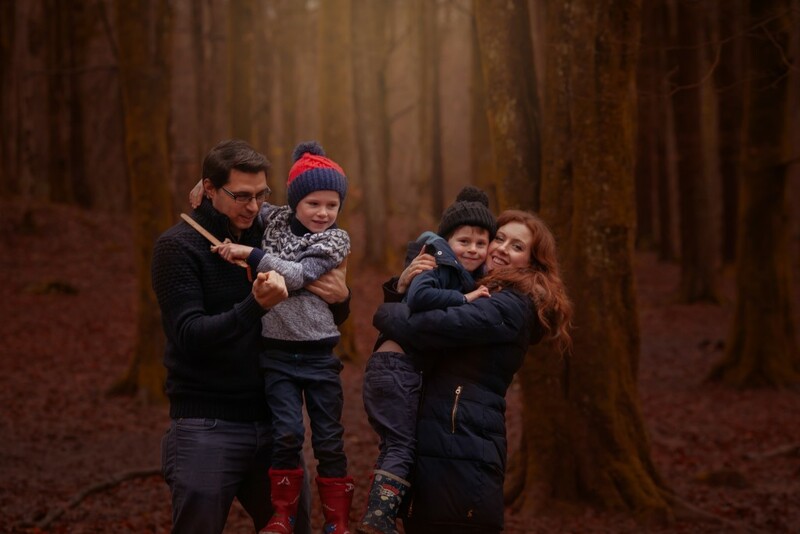 Having a bespoke family portrait session is a wonderful experience, and the memories will last forever, but it’s noy exactly a must have, is it? Not like new clothes for the kids, who seem to grow every 5 minutes, or the repairs to the car so that it will pass its MOT. You start to think maybe the money would be better spent elsewhere. So is it worth the money? Lets take a look at how you can afford it. 1. You don’t need to buy all the photos – a lot of the time people tell me that they want all the digital images from their session, and I’m going to be honest and say this is one of the highest price products I sell. When people see the price (its £250 btw, all my pricing is completely upfront) they think they can’t afford it. Fact: you may love all the photos, but there are bound to be your favourites. Even if you do buy all the images, you’ll probably find you you only print your favourites. The rest will be tucked away in an album and only looked at occasionally. Save money by buying prints of your favourites and not getting the all the images. You can always come back and buy additional prints at a later date if you wish. People also like to get the digitals so that they can share them, but when you get prints I’ll give you a low resolution digital copy with my logo on, perfect for sharing on social media. You can spread the cost to make it easier. Firstly, pay the £30 deposit. Then pay the remaining £20 at the time of your session. Then pay for the images you want at the viewing session, usually a few weeks after your session. You can also buy additional images at a later date, e.g. If for Christmas presents. Extended family sessions are very popular, families love getting the all the cousins together. There’s no better present for the grandparents than a photo of all the grandchildren together. 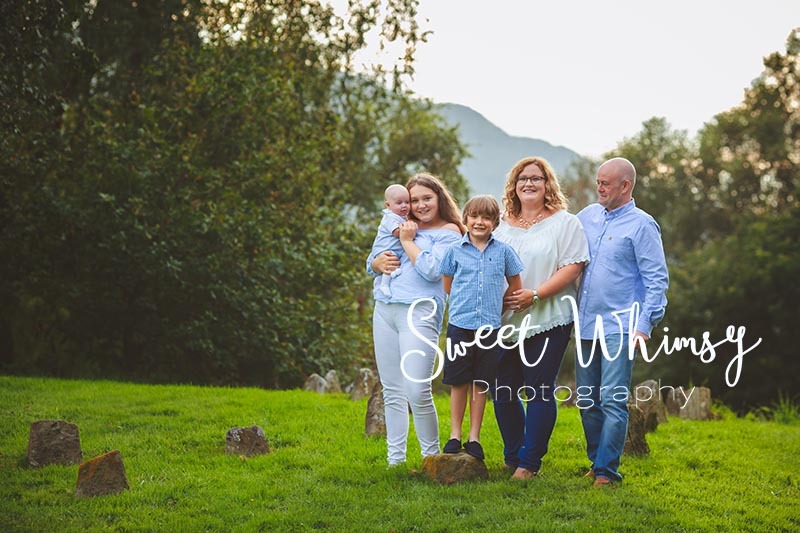 With an extended family session there’s still time to get some individual family photos, and you can split the cost between the families. Look out for special events. 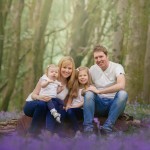 A few times a year I offer specially priced portrait sessions, for example at Christmas and during the bluebells. These sessions are shorter than normal sessions and offer fewer photos, but they are a great way to update your photos on a budget. The best place to find details of offers or special events is to be part of my fabulous VIP list, where you’ll be the first to know what’s going on. You can sign at at the bottom of this page. In the past you may have experienced photography studios who get you through the doors with a low price, and then expect you to pay £1000’s for your images. 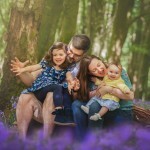 if you have experienced this it can make you wary of hiring a new photographer. I am not on of those photographers. I don’t have a minimum spend. My prices start of £25 and if you just want a few prints then that’s OK. All my prices can be found here and I ensure you have seen the prices before booking. As a guide, most of my clients invest between £200 and £400. 6. 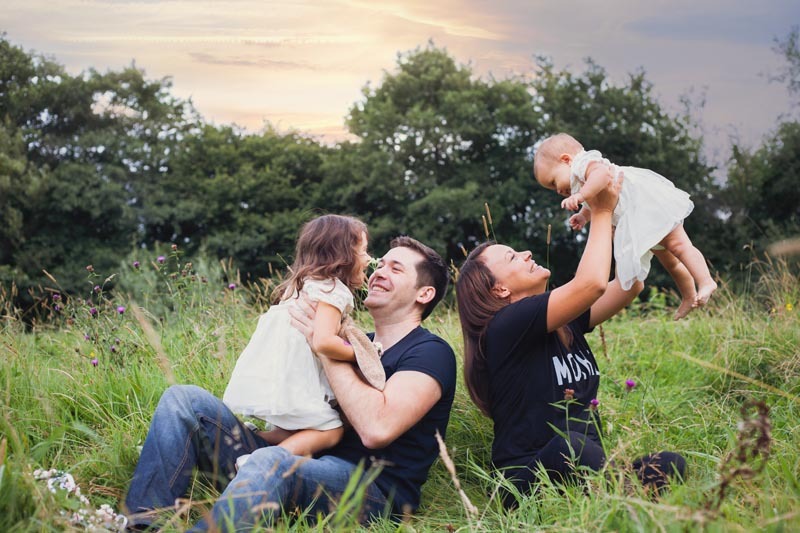 Can you afford not to have a family photoshoot? In the hustle and bustle of daily life it’s easy to set aside things like family photos. They are something that can wait until things calm down. But really, with little kids in tow, when will be a good time? Sometimes we have to stop waiting for the perfect time and just do it. 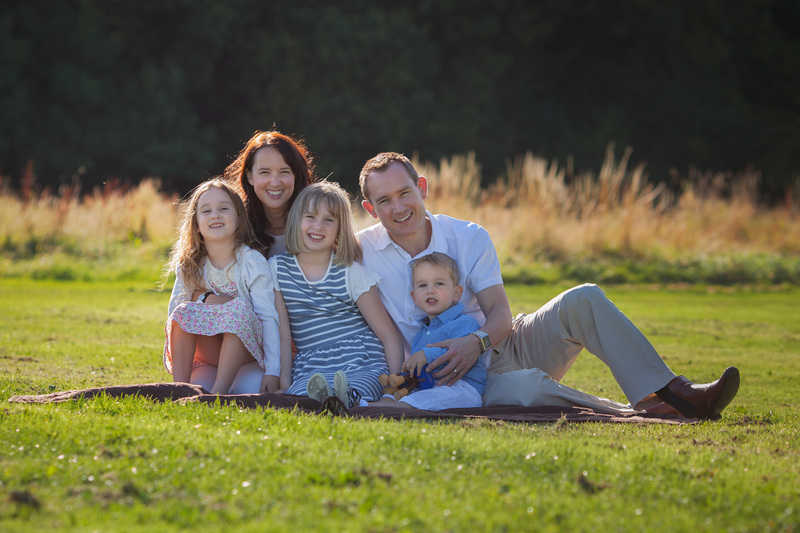 Booking a family photoshoot may not seem very important, but let’s look at it another way. Think about the photos of your family that you already have? How precious are they to you. Especially the ones where your children are smaller than they are now. 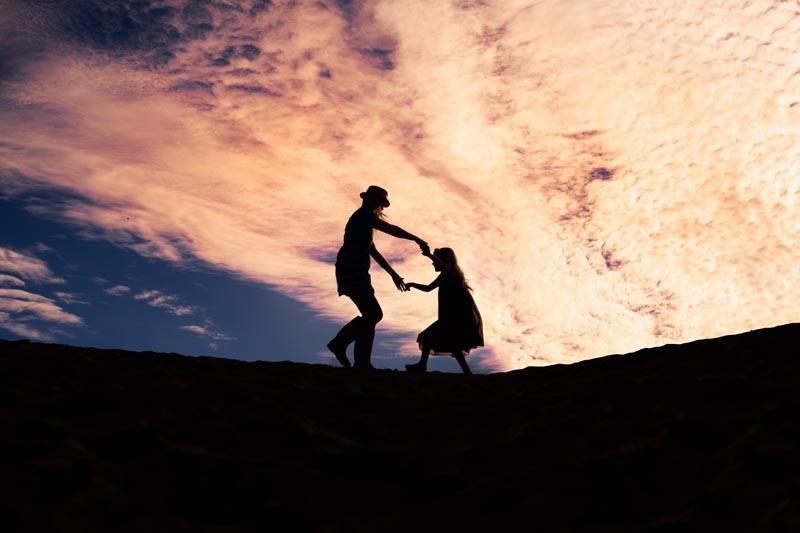 These photos show us that the life we have with our children is changing all the time. We think we have time, but next year they will be taller, sassier, and a little bit more independent. So lets just do it now! You can not afford to let these moments slip you by. Contact me now to book your session, and treasure your moments before they become memories. Wow, I am really behind on blogging. 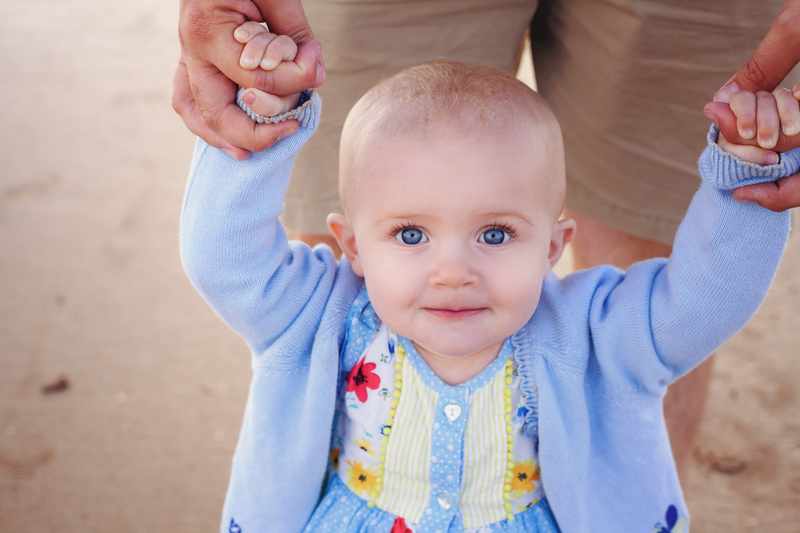 That’s why I’m sitting in my freezing cold office in October blogging about this beautiful summer family photo shoot. 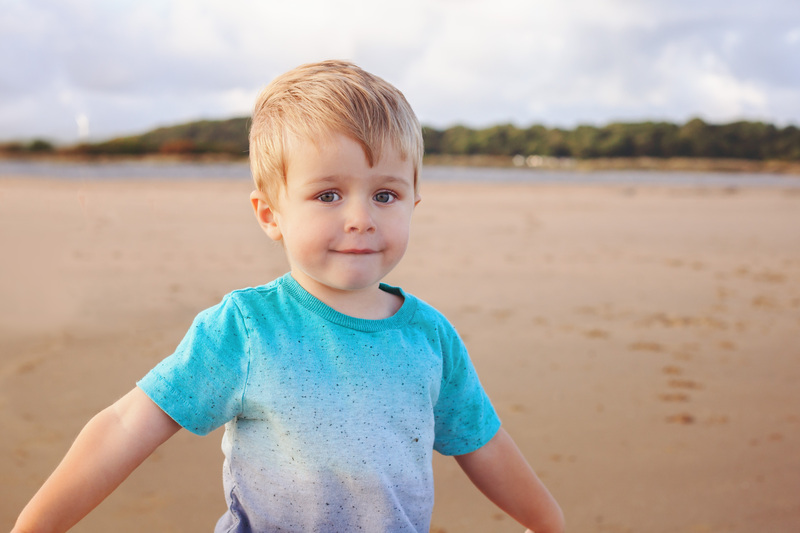 The beach is one of my favourite places for family photo shoots. When I was little my great Aunt used to swear that the sea air could cure anything. I’m not sure that’s true but I definitely feel good after splashing in the shallows and listening to the waves break on the shore. 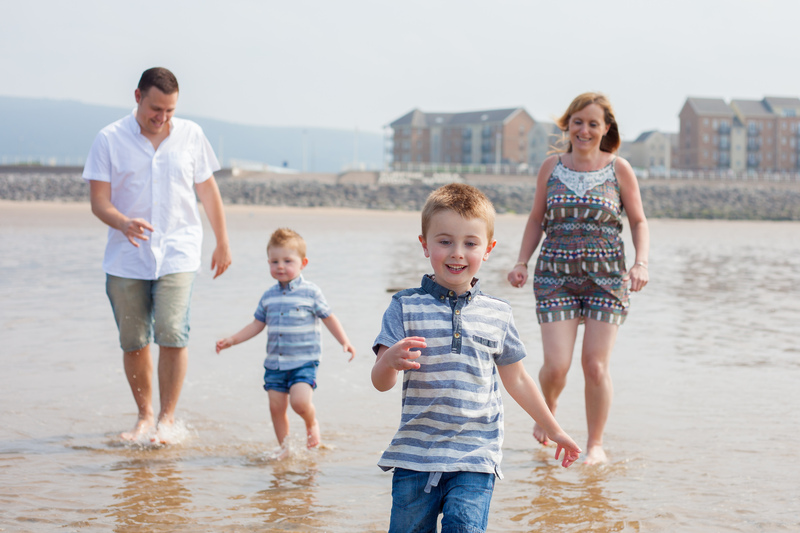 I met the lovely P family for their family photo shoot at Newton beach in Porthcawl. It’s such a beautiful beach that stretches on for miles. 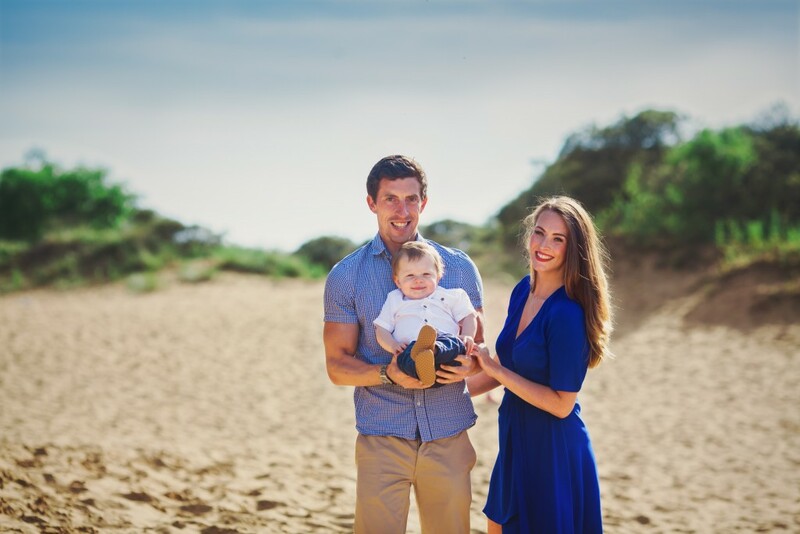 It’s backed by the Merthyr Mawr sand dunes, so there’s plenty of options for beautiful backdrops. And best of all, despite it’s beauty it never gets too busy, so the children can have all that lovely space to themselves (and I don’t have to edit out lots of people later 🙂 ). We headed to the shoreline first, it was a bit of a trek since the tide was fairly far out, but hey, walking on sand is great for your glutes 🙂 The children loved the chance to explore. 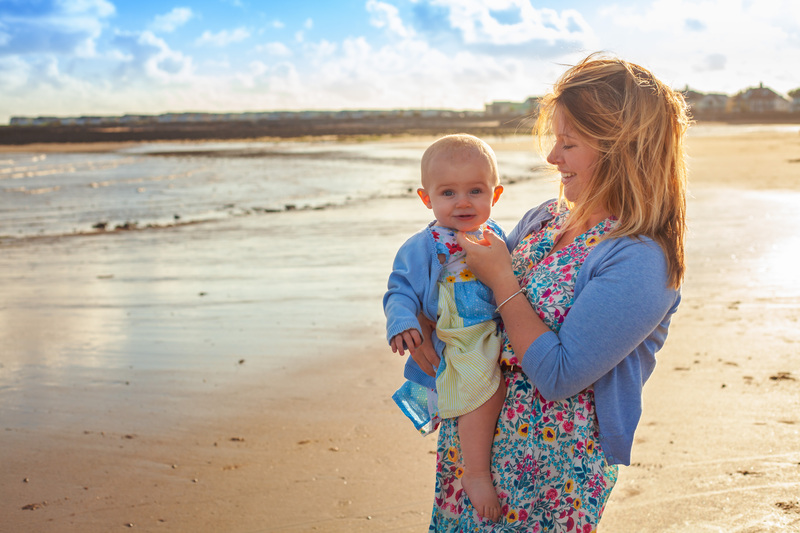 Little F was just finding her feet, and was having a great time walking in the soft sand. Meanwhile, T found some rocks and was busy seeing how far into the sea he could throw them. I’m pretty laid back at family photo shoots. Actually, I’m pretty laid back most of the time! I want everyone to have fun and my goal is to get real moments, letting families do their thing is a big part of this. After than the family had fun building sandcastles whilst I took photos. We almost lost the buckets and spades as the tide sneaked up on us and almost washed everything away! We wrapped up by heading up to the dunes for some cwtchy photos. 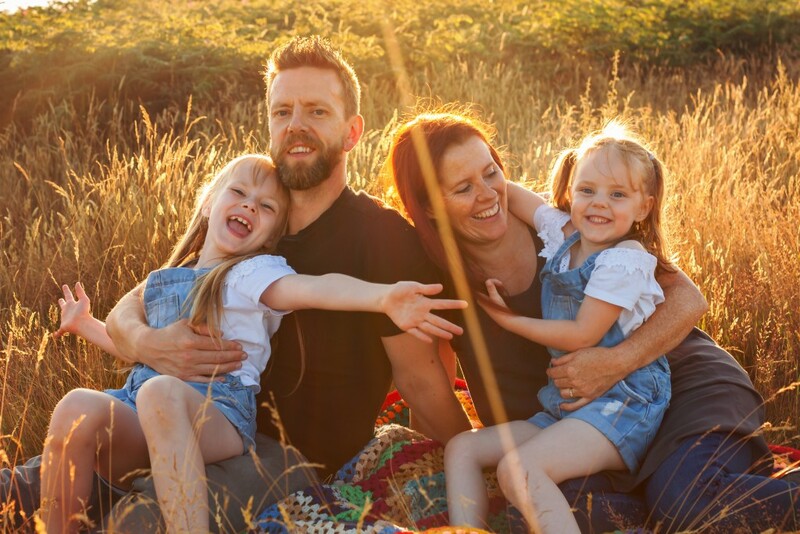 It’s not a family photo shoot without cwtches is it? 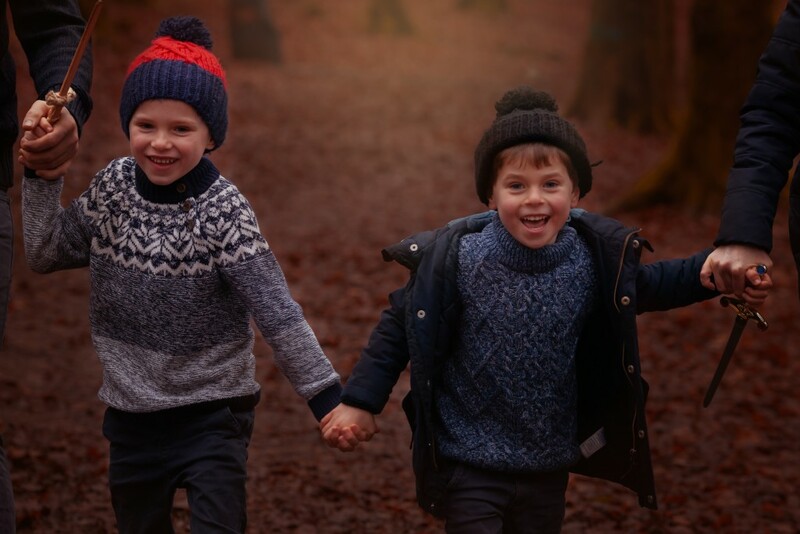 Whatever the season, getting outside for a family photo shoot is always great fun. Get in touch to plan your own session today. I am loving summer so far. I’ll looking forward to the summer holidays and plan on making lots of fun memories with my family. I love swimming so the beach and the pool will definitely be high up on my list of things to do. A few years ago I made a list of 101 fun things to do in the summer for members of my Sweet Whimsy Photography VIP club. I thought I’d share it here too as 6 weeks can be a long time with bored children, so lets make sure we have plenty of things to keep them occupied. To get your free PDF guide, simply click the button below, no email address required! I’d love to know if you use this guide to have fun this summer. Let me know on my Facebook or Instagram pages. You probably guessed I love summer. 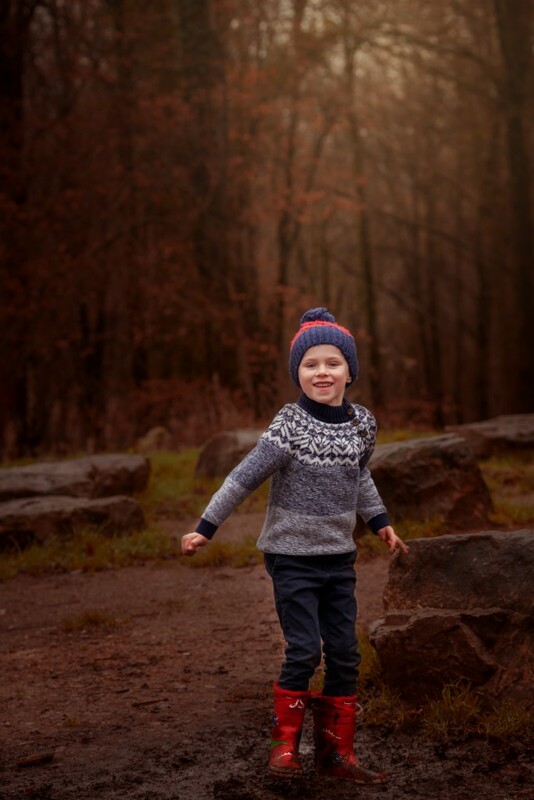 Autumn is usually the season people think of when thinking of family photos, but I’m here to put in a bid for a summer sessions. 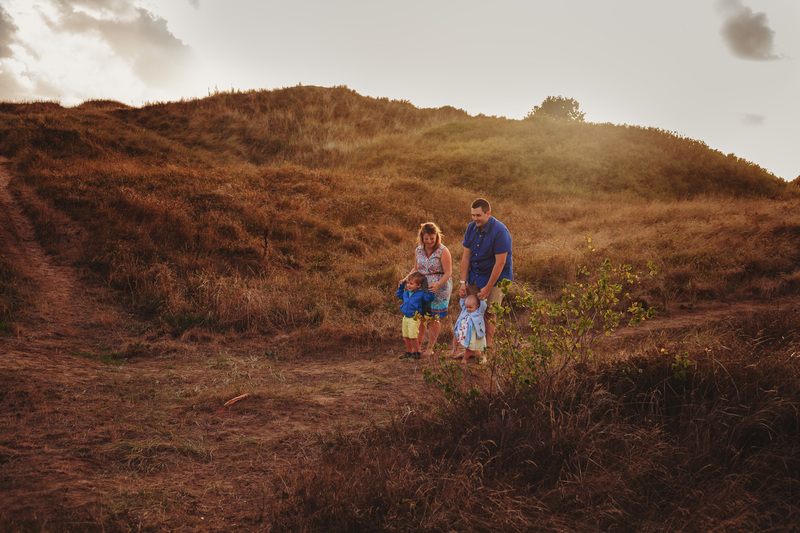 Summer is perfect for family sessions. Don’t believe me? check out my reasons below! Wildflower meadows, long blowing grass, the sun setting on the beach. Summer gives us the perfect backdrop for gorgeous photos. Many of my clients love getting their portraits done when they have a summer glow, whether it’s from a sun tan or just a healthy complexion from all that fresh air. 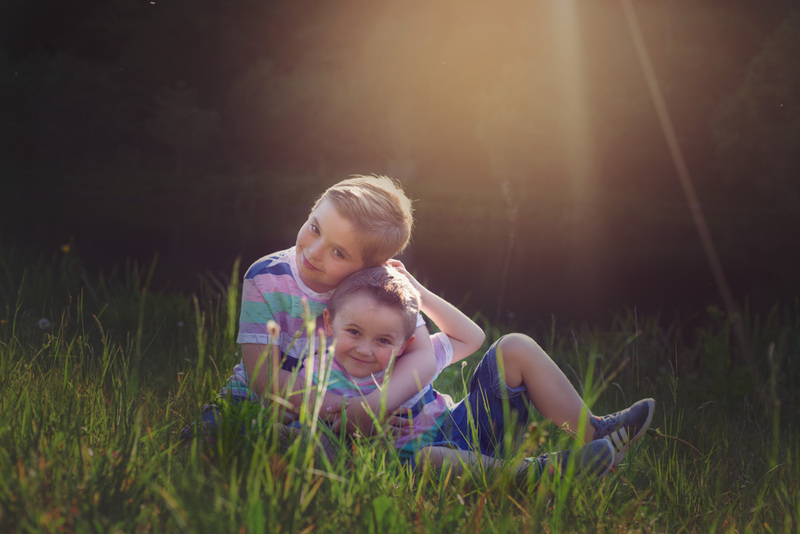 Since the sun sets later in the summer, your session will need to be later to make the most of this dreamy summer light. Luckily though you don’t have to worry about the school run during the summer holidays. Treat it as a special occasion and let the kids stay up late. They’ll love it and their excitement will show in the photos. Summer always feels more chilled, doesn’t it. 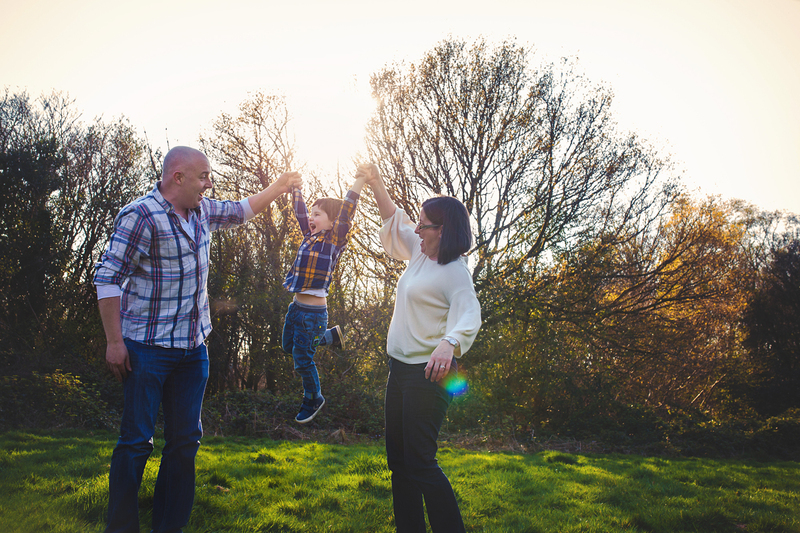 With the children off school and time off work, you won’t have to squeeze your session in on a busy weekend, you can take your time and enjoy it. 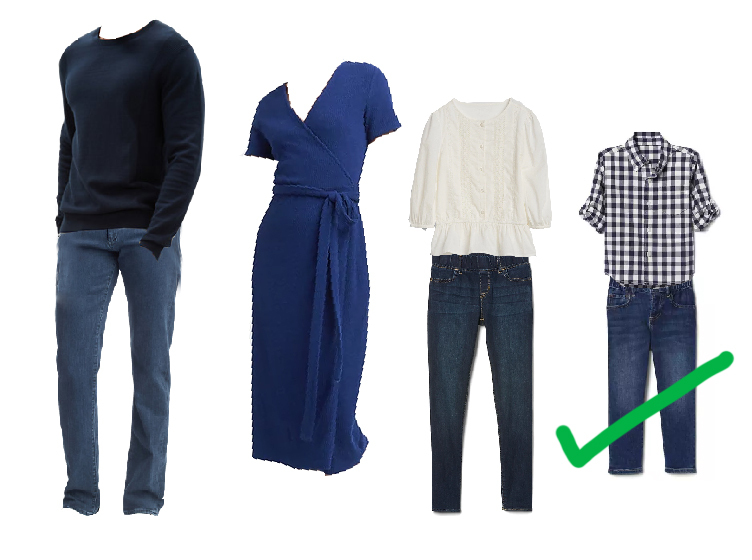 Since the weather’s warmer you don’t have to worry about outerwear, and there are so many great outfit ideas for summer. Think floral maxi dresses, flower crowns, linen shirts and chinos for a gorgeous summer look. 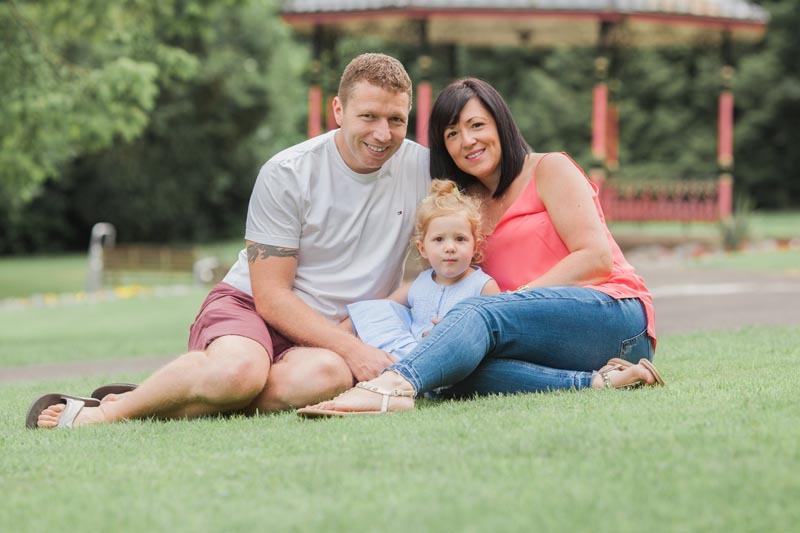 My style of photography is to let families relax and act naturally, so it feels like a fun day out. 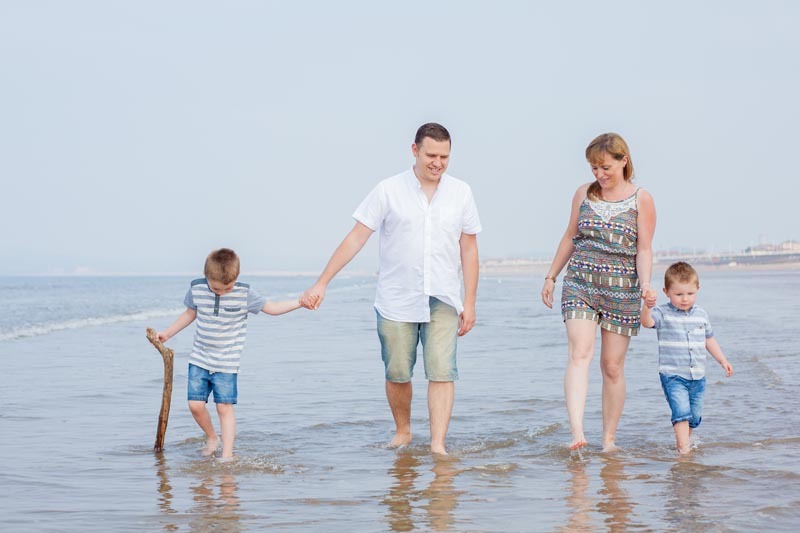 Make a day of it and finish off your family session with a nice family meal, or even a BBQ on the beach! Think of those hot, dry Welsh summers we have every year. Nope? Lol OK, so maybe we don’t always have the perfect summer weather, but summer does allow us to do things we couldn’t do during other seasons, such as splash in the waves or paddle in a river. 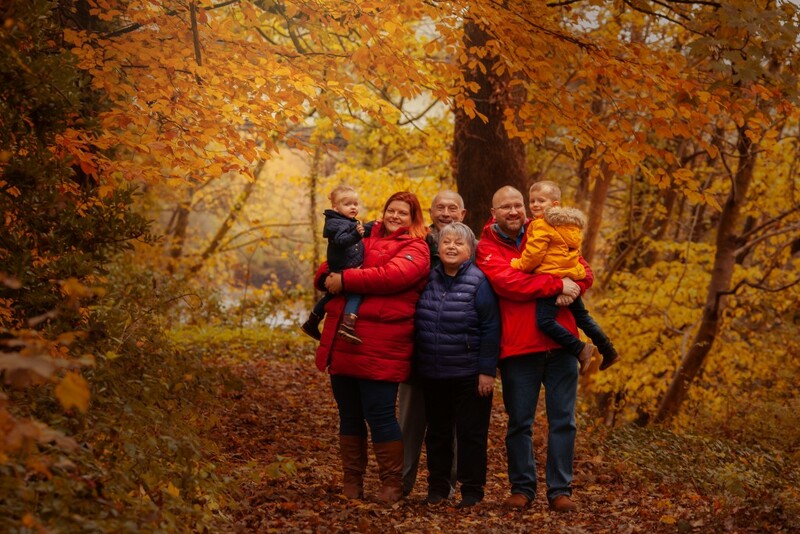 Family photos make the perfect Christmas present for grandparents. By getting yours in the summer you beat the Autumn rush, when photographers are busy and finding a weekend to squeeze in a session is not easy. 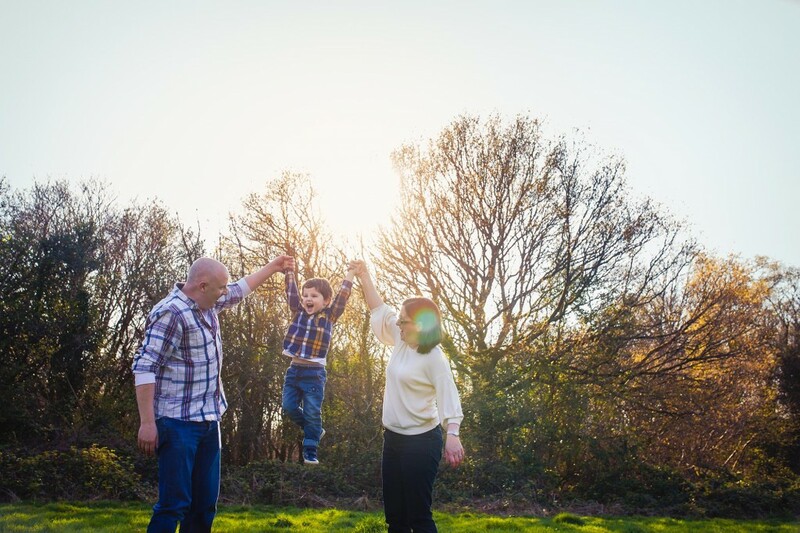 Extended family sessions are very popular. Getting all the gran-children in one picture is something a lot of my families want. If you are having a get-together with family this summer, make sure you hire a photographer to capture the occasion. When I take family photos, I encourage my families to have fun. I want your smiles to be real. That way, when you look back on these photos, you will remember the fun. What better to have on your walls than beautiful images of perfect summer days. So what do you think? 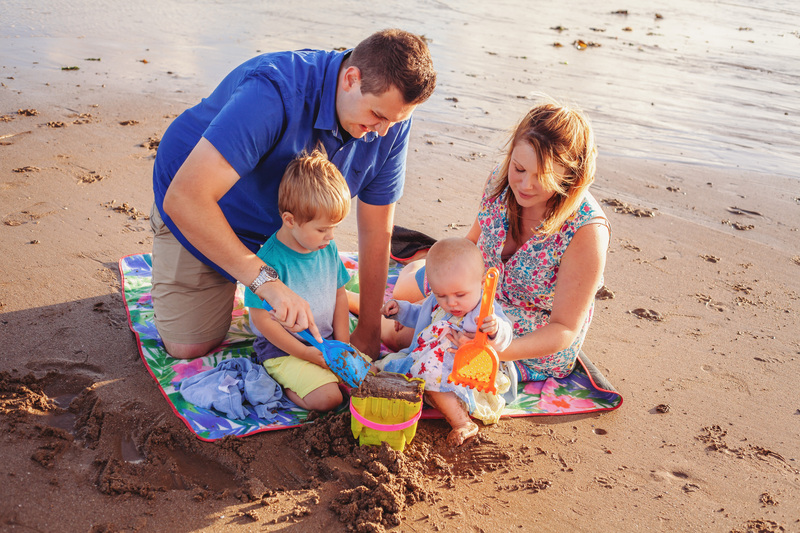 Is summer the perfect time for your family? If you have the idea of a summer session, get in touch with me to find out more. I love summer. I love having the opportunity to spend time outdoors after the school, going on family adventures on the weekends and planning trips to visit new places and old friends. 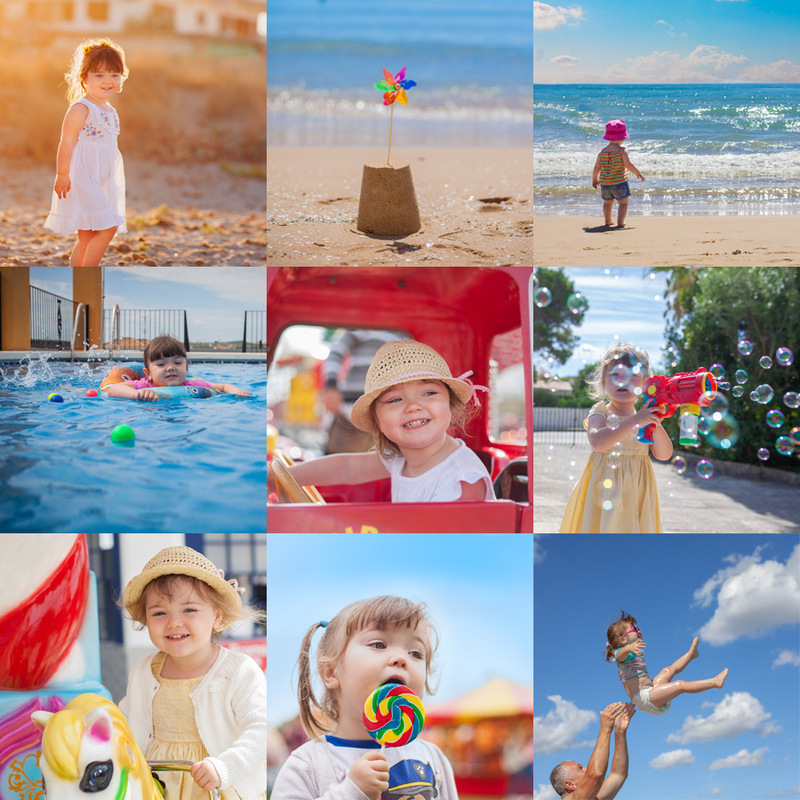 Summer is a great time to take plenty of photos and preserve the memories of the fun times. Once it’s over and the nights get darker you’ll love looking back through the photos you’ve taken. Here are 50 ideas of things you can photograph this summer. How many can you check off the list? 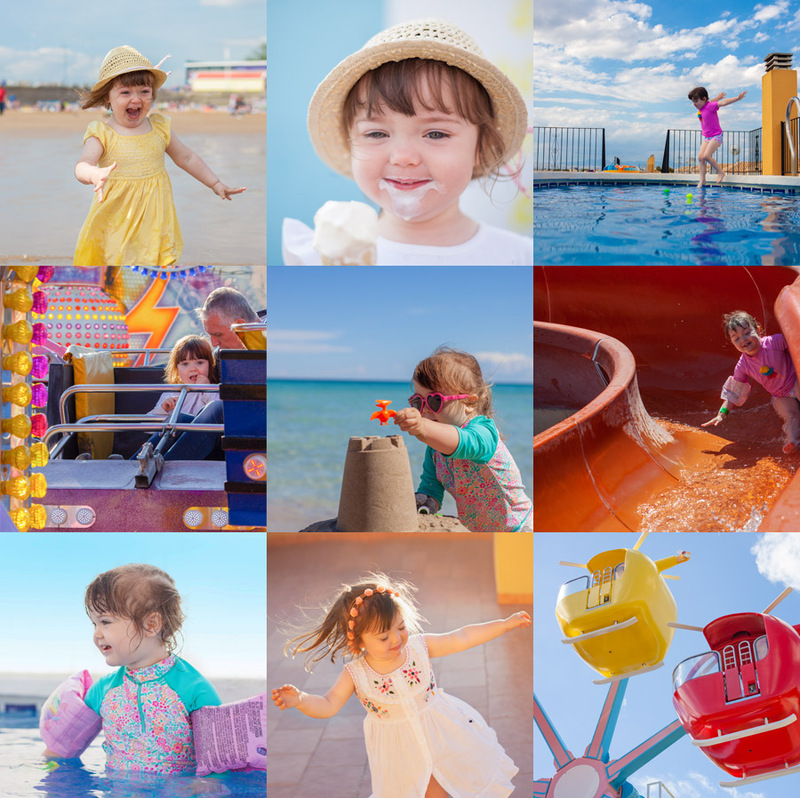 If you want to capture your memories this summer, get my free guide, How to Take Photos of Your Children with a Camera Phone. 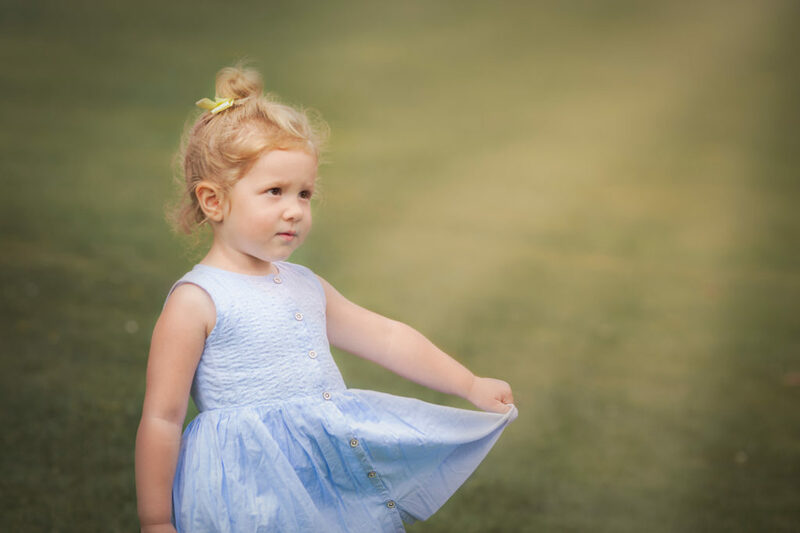 It’s full of tips and tricks to help you get the images you want, such as how to avoid blurry pictures and how to get your children to cooperate. Occasionally I’ll get tagged in a Facebook post where someone is looking for a family photographer. These posts typically get at least 20 different photographer recommendations. That’s a lot of information to sift through. 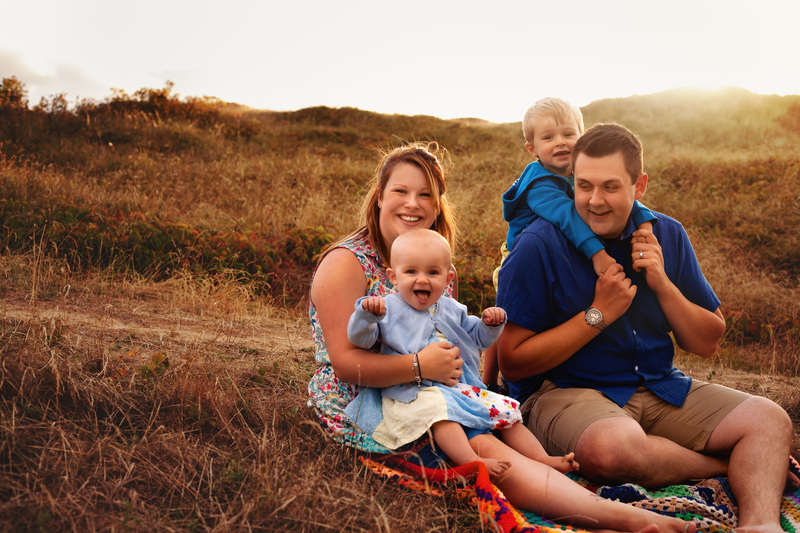 If you’re looking for a family photographer, it can be overwhelming. Family life is busy. Who has time to look through dozens of photography websites. Here, I’ve listed 10 things that can help you choose your photographer, and hopefully narrow down that list. A lot of people think all photography is the same, and that any photographer can easily reproduce any image you have seen on Pinterest. However, most photographers have a specific style, from the way they work with families to how they edit the photos. Make sure to check out their images to see if you like their style. If you have seen a specific image you like on Pinterest, ask them if it’s something they can/will do before you book them. 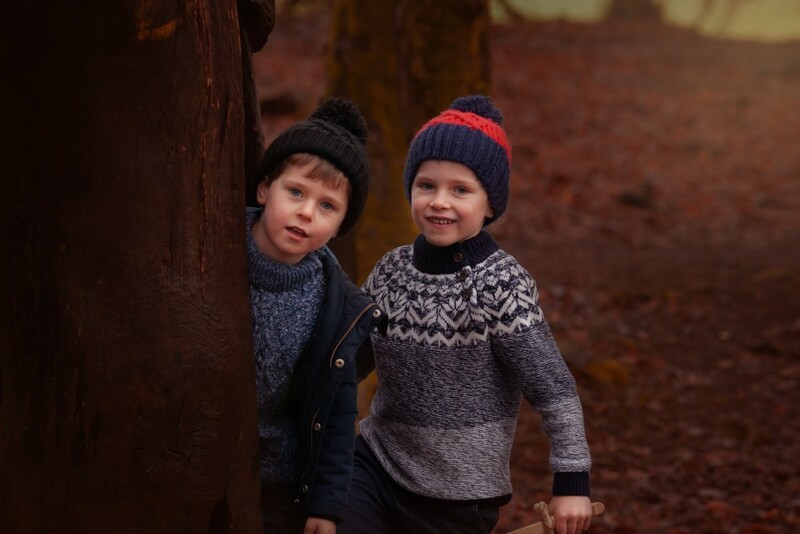 For me, my style is relaxed, outdoor sessions where children can play. 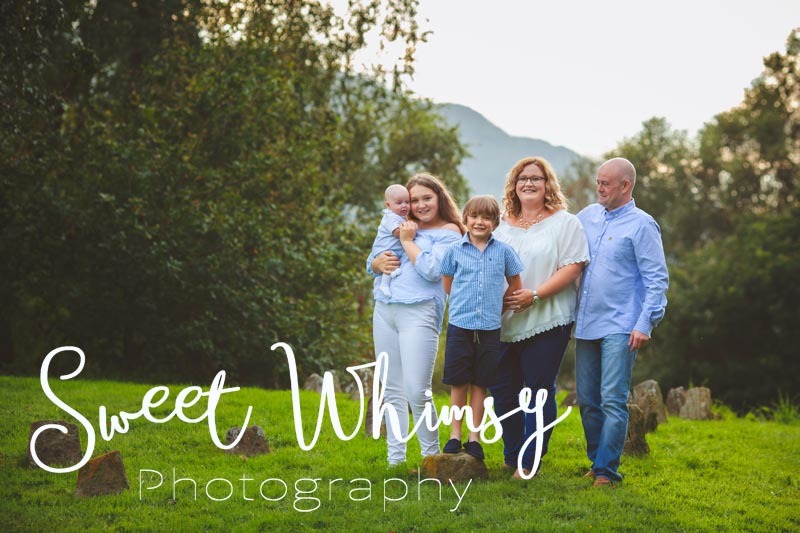 I focus on creating joyful images that capture the love and connection within your family. If you want an image in front of a white backdrop with everyone smiling at the camera, I’m probably not the photographer for you. What Sort of Photoshoot Would You Like? Would you prefer an indoor or outdoor session? 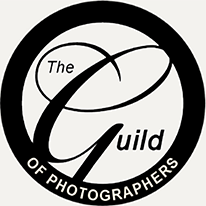 Do you want the photographer to tell you what to do or do you prefer a more informal approach? Some photographers offer both indoor and outdoor sessions. Make sure you can find examples of the type of photoshoot you would like so you know the photographer has the relevant experience. 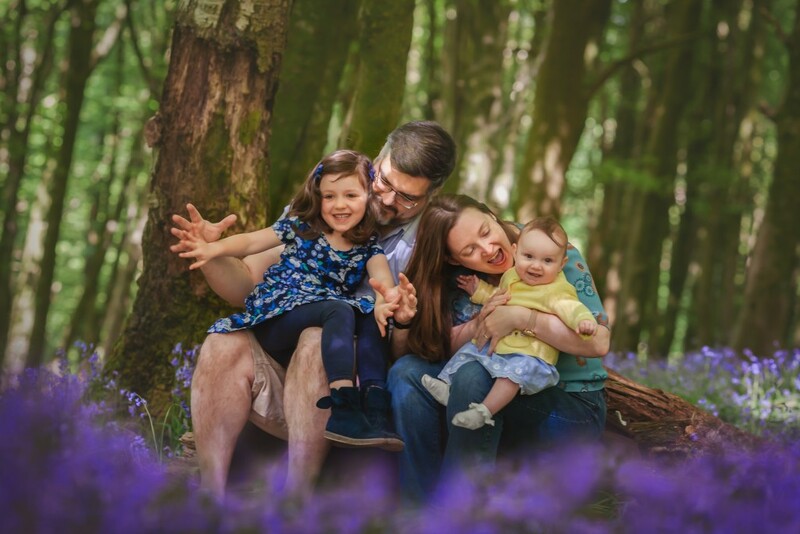 I offer both studio and on-location sessions, however for families I recommend outdoor sessions as this is where I can get the natural, playful images that I am known for. Photographing children can be tough. No matter how talented a photographer is, they also need to know how to deal with children of all ages. Different photographers have different passions. 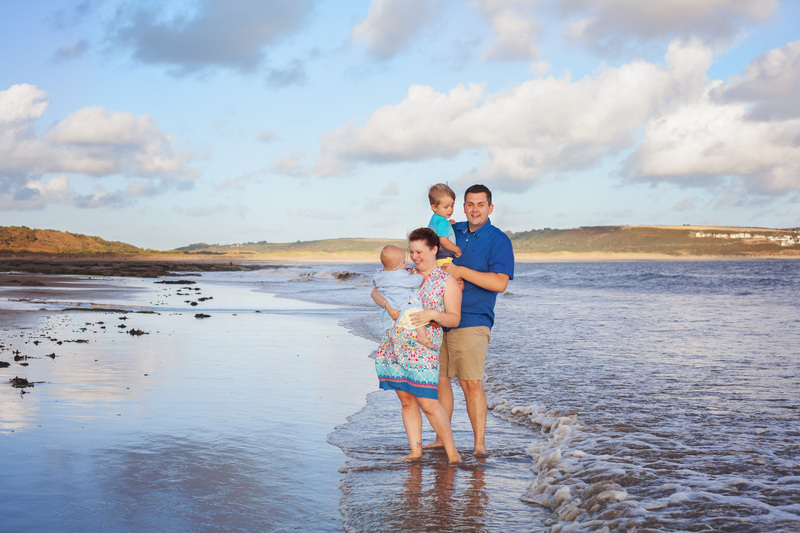 Some love landscape or wildlife photography but also offer family photography to bring in some extra income. 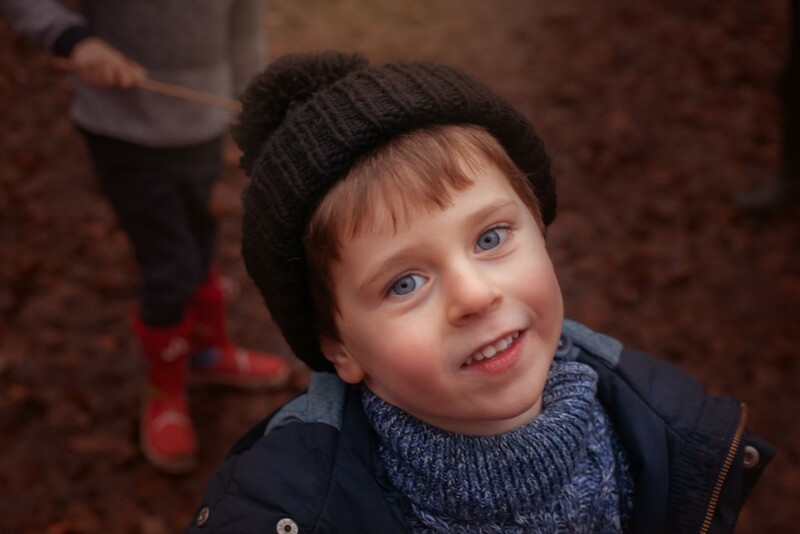 Check that your chosen photographer has lots of experience of working with children and families. I chose to become a photographer when I became a mother. For me, photography is a way to freeze time when my child is growing so fast. 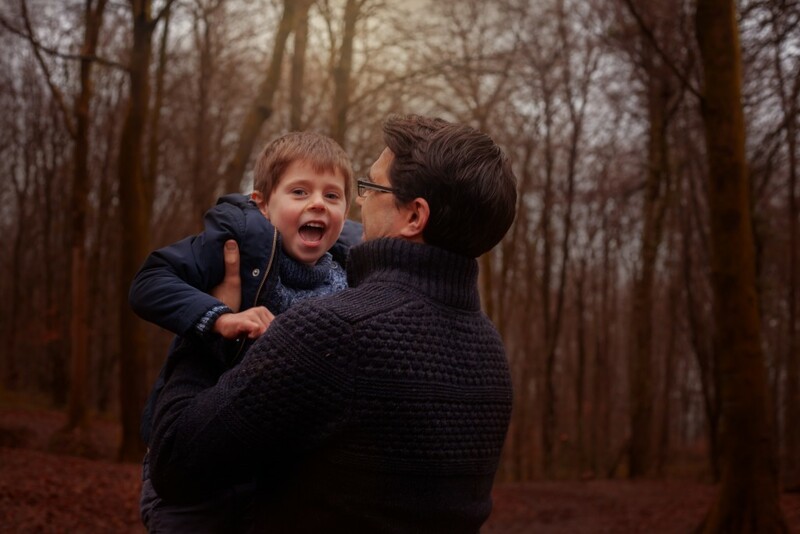 I’ve focused my business of working with children. I like looking at landscape photography, but I have no interested in pursuing it myself. 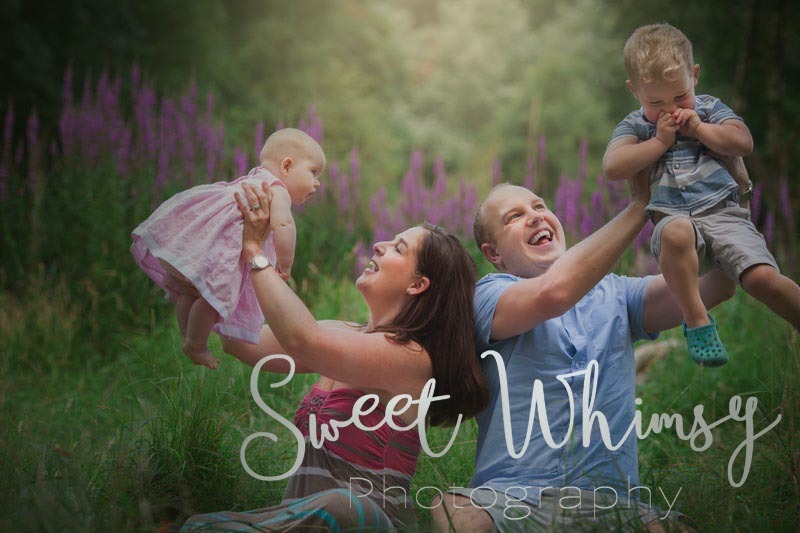 Family photography is my passion, and I invest a lot of time and money in ensuring you will treasure your family photos. Donna was amazing! She came to the location of our choice for our family photo shoot. The session was a wonderful experience. 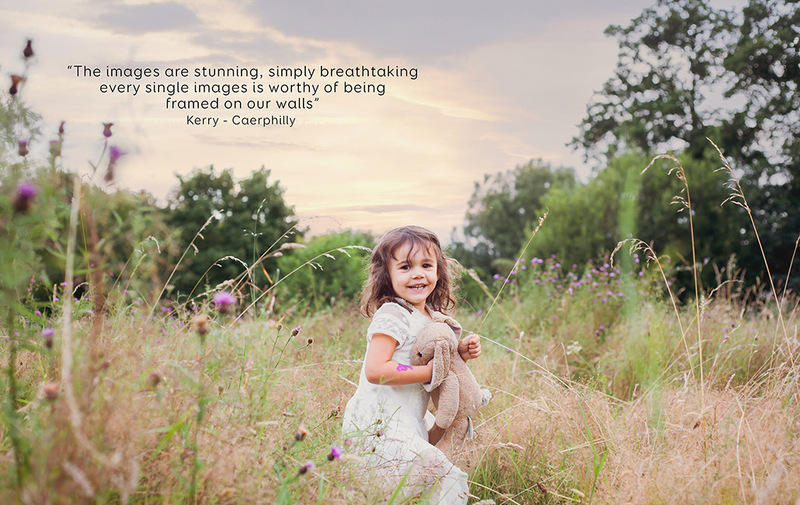 The children felt at ease and Donna captured some natural and truly beautiful moments that we can treasure forever. 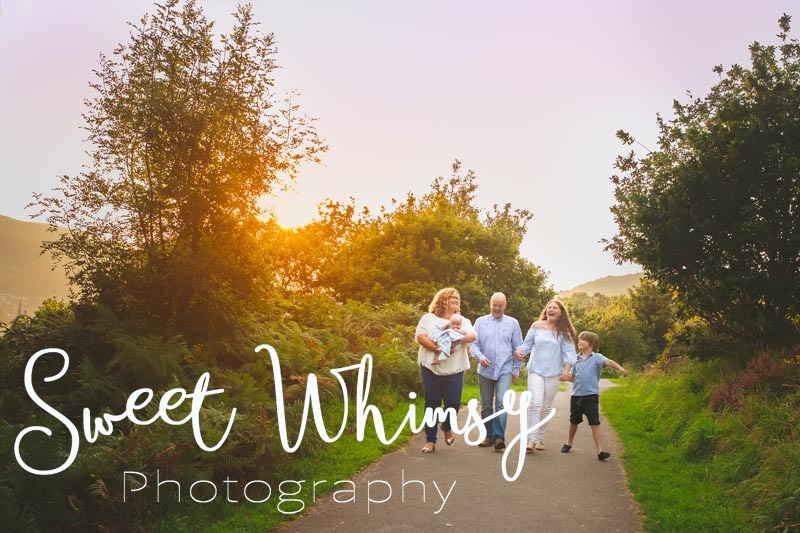 I highly recommend Sweet Whimsy Photography for any occasion. 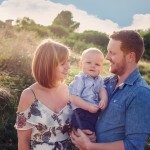 There are photographers to suit every budget, from amateur photographers looking to make a little side income to big studios charging £1000’s, and everything in between. Everyone’s budget is different, but here are a few things to look out for. Be wary of very cheap photographers. We all want a bargain, but photography is a business and it costs money to run a business. Equipment, education, insurance, tax. These expenses and more must out of the money you are paying. If a photographer is charging a very low amount, maybe they are not insured, maybe they are not investing in education to learn everything they need to know. Many new and amateur photographers can’t afford to purchase additional items that a professional would consider vital. For example, I pay a high price for my memory cards so there is less chance they will malfunction. I also pay for software to recover lost images if that did ever happen. It’s my job to keep your images safe and I take it seriously. Is their pricing up-front? Can you find details of their pricing on their website or do you have to ask? 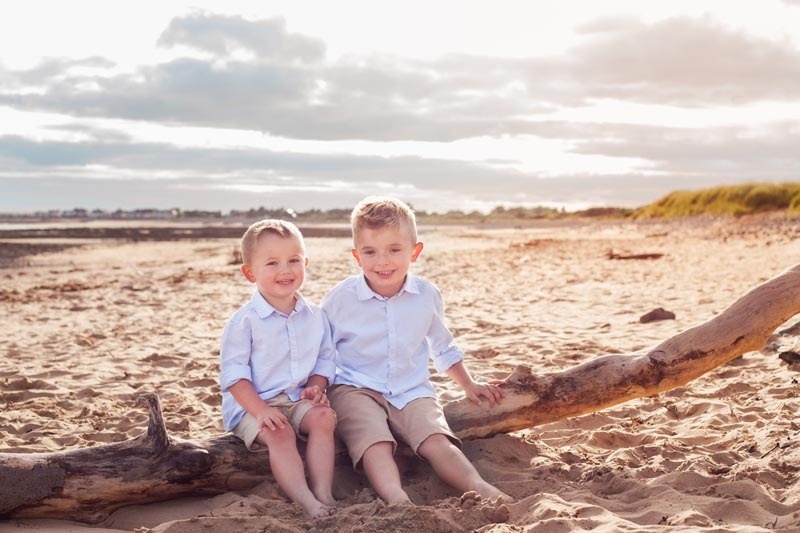 Do you know how much images are before your session? Make sure you are aware of all prices and what’s included before you book. I list all my pricing on my website so potential clients can see everything before the book. I make sure clients are aware of what is included before they book with me. 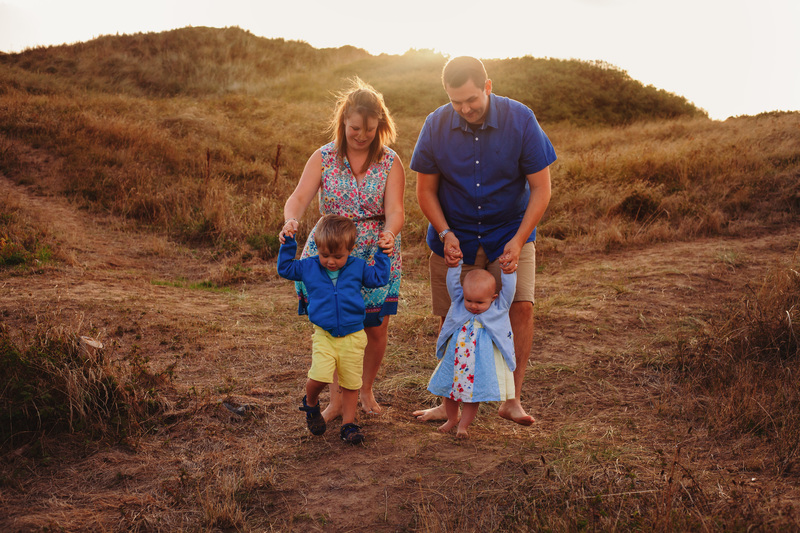 What do you hope to get out of your family photography session? New art for your walls? A keepsake album? Do you want to high resolution images, so you can print them yourself? 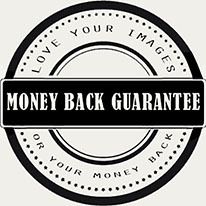 Check to see if your photographer offers the products you want. Many new photographers have not yet learnt about the products they can sell or where to source beautiful, quality products for their clients. Some photographers will not offer high resolution digital images. 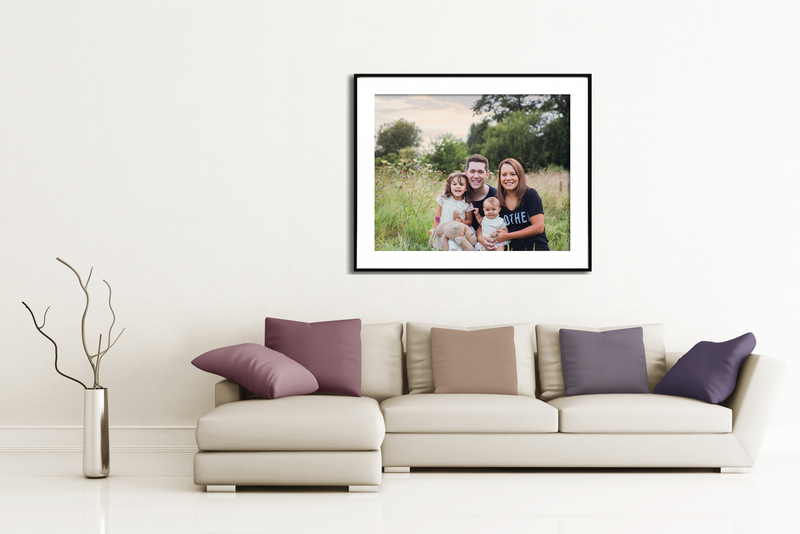 I have spent time sourcing beautifully crafted, modern wall art and albums because I want you to walk away from your photography experience with a beautiful family heirloom. Commissioning wall art is not something you do everyday, so I have curated a selection of popular products to make it easy for you. I also offer high resolution digital images as I know that in this modern world we want to share our lives online. You may like the photographer’s style, but what about the photographer personally? You’re going to spending an hour or two together and if there is friction you may be uncomfortable, and this could show in your images. It’s helpful to speak to your photographer before your session so that you can see if you are a good fit. I insist on speaking to potential clients before they book, so that I can ensure we are a good fit. I do this over the phone so it’s easy for my clients. We have an informal chat about our families and what they are looking for from the session. As this is done before they book, they can choose if they want me to be their photographer after our call. Will They Help You Prepare? Having a portrait session is not something you do every day. Your photographer is the expert and should be able to help you make the most of your session. Do they offer any advice such as what to wear, recommended locations, how to prepare the children etc? I make sure I am on hand to help my clients however I can. I have also written several articles to help prepare you for your session. Will They Edit Your Images? Every photographer has a different style of editing and different capabilities. Some photographers will not edit your images until you purchase, so it’s hard to see what the final image will look like. Other photographers will not retouch or will charge extra. For me, I want you to love your images, so I hand edit every one before you see it. I remove bogeys and dribbles as part of your session fee, and if there are any cuts or bruises that you would like removed, please let me know and I will remove them at no extra cost. I’ve also been known to combine several images in one some instances where someone is not looking the right way. You will not be charged extra for this and you won’t even be able to tell. If you do not like your images, what will the photographer do? Will they offer to re-shoot the session or refund your session fee? I want my clients to love their images, and to feel confident when the book me. That’s why I offer a to re-shoot if they are not happy, or to refund their session fee in full. I hope these tips will help you find the right photographer for you. 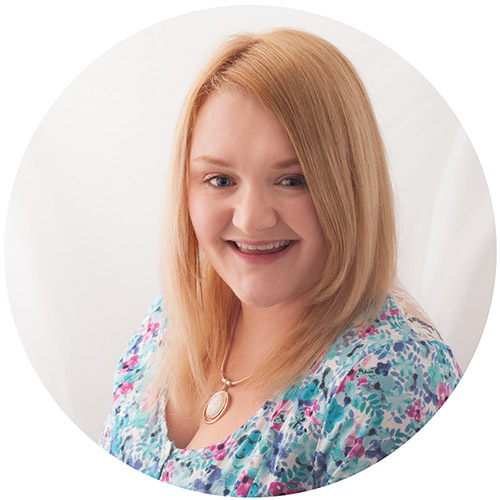 If you think that I might be a great fit for your family, get in touch with me and we can arrange a quick chat to plan your perfect session.